Conan Exiles is an open-world survival game where you build, craft and fight to survive in the brutal world of Conan the Barbarian. 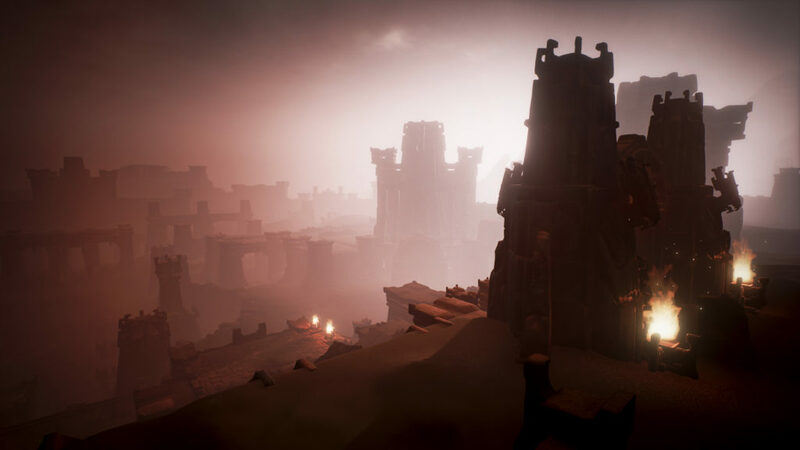 But Conan Exiles is nothing like an empty sandbox, so continue reading to learn about the great game world you can uncover and enjoy. Robert E. Howard’s tales of Conan the Barbarian offer an intensely rich universe full of great deeds, dark magic and high adventure. Howard wrote many tales of Conan, and many more have been told in comic books and movies since his death. Conan Exiles builds on and draws inspiration from these great sources. 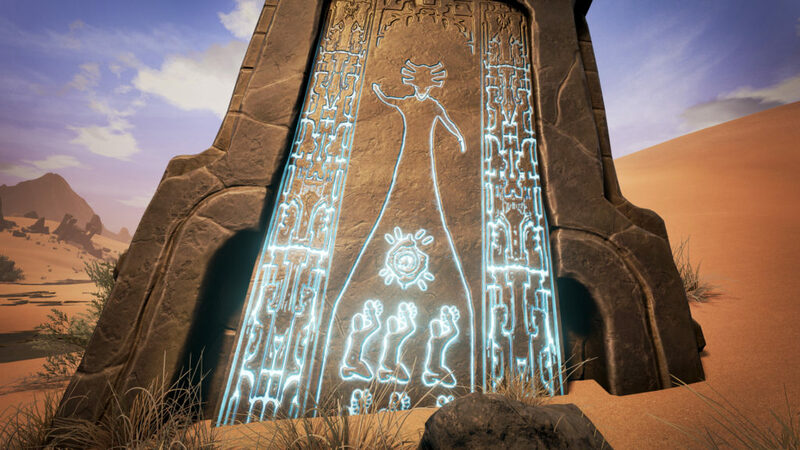 The events in Conan Exiles take place on Conan’s timeline between the stories Xuthal of the Dusk (The Slithering Shadow) and A Witch Shall be Born. You play as a condemned exile, crucified in the burning desert. It is Conan himself who cuts you down from the cross and frees you. Conan continues on his journey, but you must now try and survive in the harsh Exiled Lands. An enigmatic serpent bracelet has been placed around your wrist. It will kill you if you try to escape by crossing the huge Cursewall surrounding the Exiled Lands. The Cursewall is a powerful magical barrier which cuts you off from the outside world. Who has placed the bracelet around your arm? Why have you been exiled to this place for your alleged crimes and not just executed on the spot by those who brought you here? 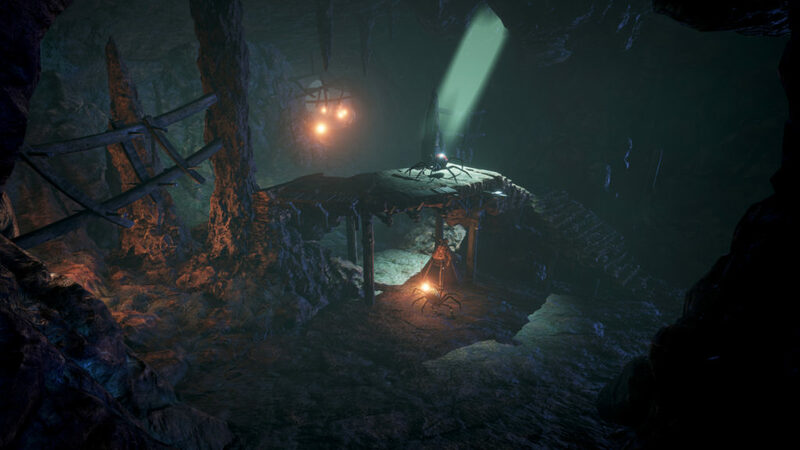 The Exiled Lands are full of mysteries and as you struggle to survive you can also strive to uncover them. But you are definitely not alone in the Exiled Lands. Large groups of exiles have banded together and formed dangerous factions. The Yog worshipping Darfari cannibals will be among the first you meet. Along the eastern river you can find thieves and pirates who fight under the banner of The Black Hand. The bandits called The Dogs of the Desert lay claim to the lands further north with their bestial ways, and to the west you can find a sprawling city made by Stygian mercenaries and relic hunters who hunt for the treasures of old. Many secrets lie buried beneath the sands and in deep caves. Explore where you dare, but beware of the dangerous creatures which lurk in the dark places of the world. Tunnels and temples built ages ago might have been abandoned by their former inhabitants, but their riches and mysteries are still well guarded by new terrors. Every place filled with dark magic or every battle with demonic or undead creatures will leave you corrupted and weakened. So make sure to have dancer thralls in your camp which can entertain you and remove the corruption. Massive ruins left behind by an ancient civilization can be seen towering over the Exiled Lands. These huge spires, great bridges and impressive walls dominate the landscape. You see enormous statues of strange, almost insect-like humanoids, but who were these powerful beings? Even the magical monoliths who form the Cursewall seem to be made by this mystical race. You will find clues about the ancient civilization as you play and explore. Their magic still resides in many places of the Exiled Lands, and what seems to be instructions for their subjects can still be found. For some reason you are able to understand their ancient language, and hear their voices as they speak from a bygone age. Explore far and wide to see ghosts of the past and glean information from their ways. There are many places to explore in the Exiled Lands, from crumbling ruins, deep tunnels, beautiful shrines and even a massive arena made for gladiatorial combat, but the most imposing is a huge and mystical city ringed by powerful walls. Terrible creatures roam the city and the dark magic which lingers there is filled with corruption. Only the most well equipped survivors should dare to explore its gloomy streets and deep chambers. But even if the risk is high, this ruined city holds many important secrets and will perhaps be your most important key to truly understanding the Exiled Lands. Conan Exiles does not only offer harsh survival and brutal combat, but also lets you explore a beautiful world filled with unique locations and a deep history. It is the rich world of Robert E. Howard’s Conan the Barbarian brought to life by some of his greatest fans.